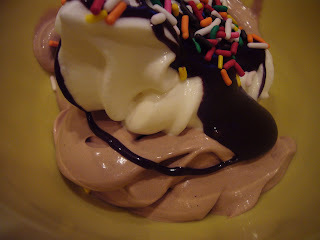 Cooking With The Kids: You scream, I scream - we want ice cream! You scream, I scream - we want ice cream! It's scorching here in the desert. No really - it was 111 degrees today and tomorrow it will be 112. Yikes! 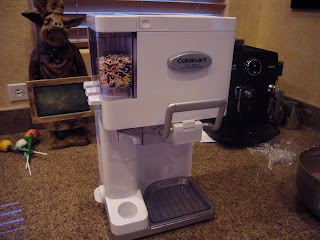 Sabrina's ice cream maker is going to be working overtime to keep the kids cool. The kids made vanilla back in June, and that recipe, which came from Food and Wine, was outstanding. 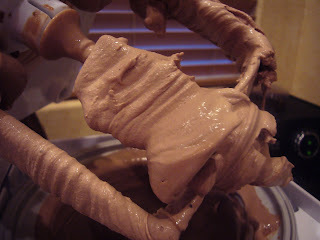 A few days ago, they tried a new chocolate gelato recipe from Epicurious, which again, was outstanding. Tonights recipe comes courtesy of Diannes Dishes - with just a few tweaks, they had the most delicious chocolate ice cream they've ever had. We don't have any pictures of them making the base, since the camera battery was charging. 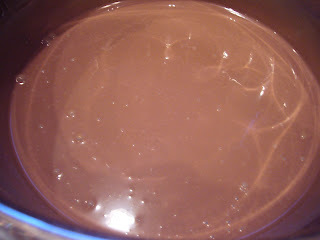 In a small saucepan, melt chocolate with ½ cup cream over low heat. Watch carefully so the mixture doesn’t get too hot. Stir until smooth and set aside to cool to room temperature. Add remaining ingredients, stir well and chill until cold. 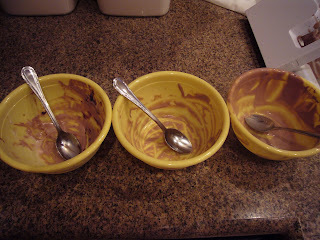 Process according to your ice cream makers instructions. 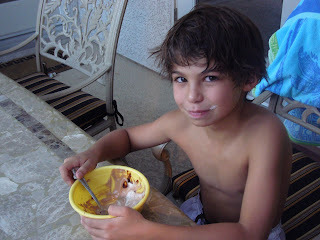 Nothing tastes better on a hot day! Do you think they enjoyed it? I wonder what flavor they'll come up with next? Wilton 1 - First decorated cake! Barefoot Bloggers - Our Week!